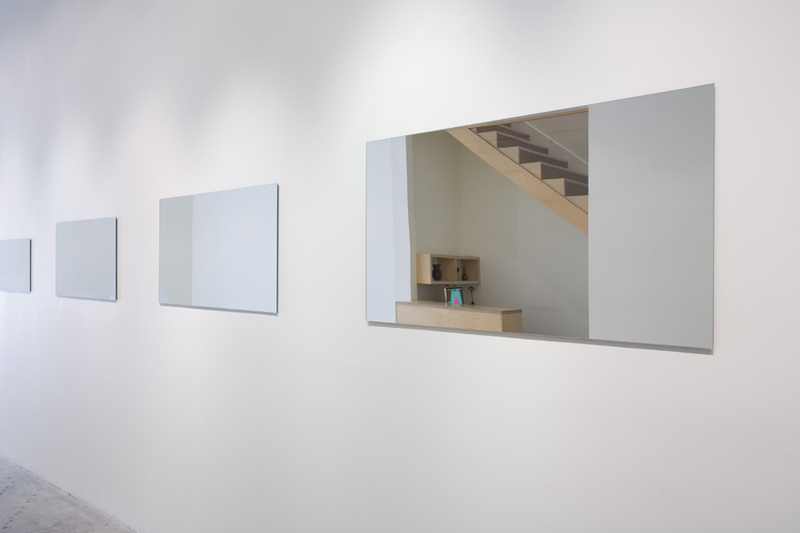 Steve Turner Contemporary is pleased to present Everything Always Everywhere, Rafaël Rozendaal’s first solo exhibition in Los Angeles that will consist of two installations. 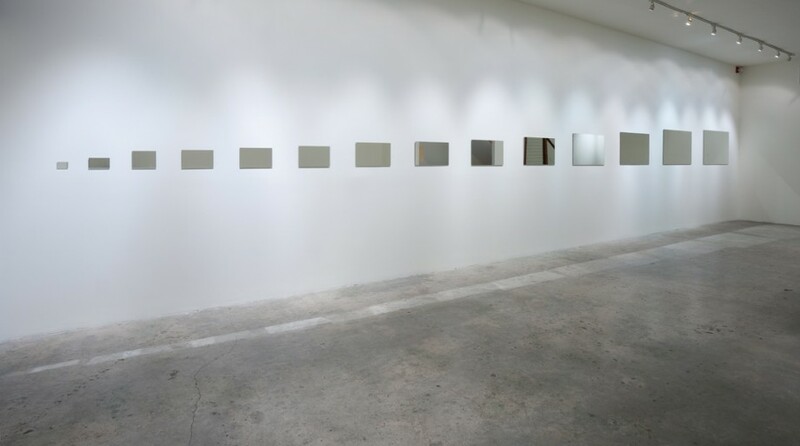 Popular Screen Sizes is a site-specific installation consisting of fourteen mirrors that range in size from a large television monitor down to a cell phone. 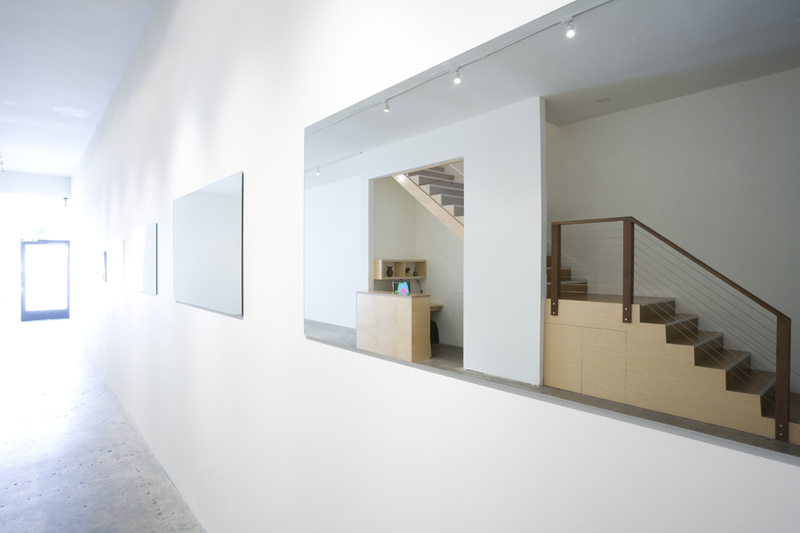 Installed successively from largest to smallest, the mirrors create an abstraction of the gallery space through multiple reflections that result in many perspectives of the gallery’s interior. These protean views encompass both abstraction and representation. 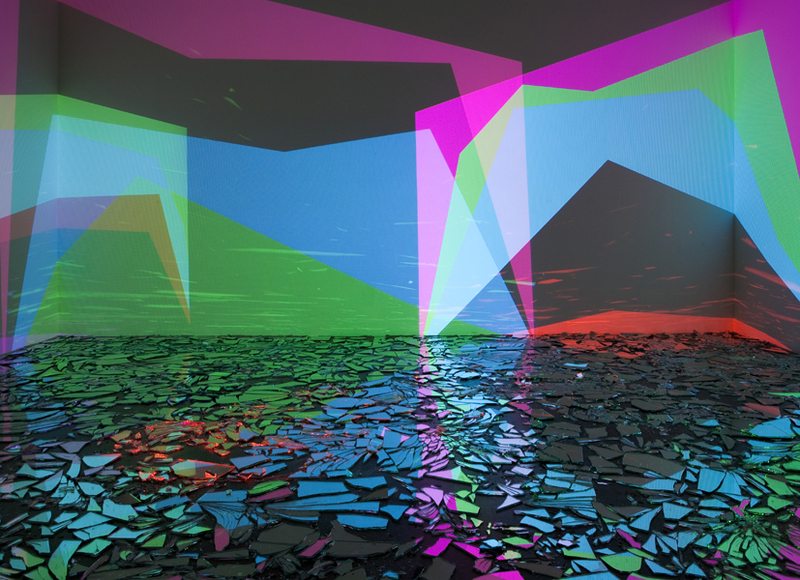 Falling Falling is a physical manifestation of a website Rozendaal created of the same name. 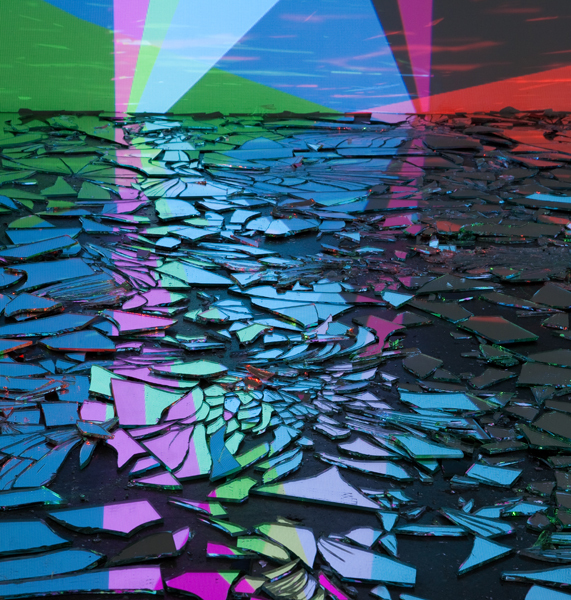 The website features a continuous animation of abstracted shapes falling onto themselves which, in the installation, are projected onto the gallery walls and reflected in shards of broken mirror scattered on the floor. Its soundtrack- a Shepard tone- is a seemingly descending pitch that continues endlessly. 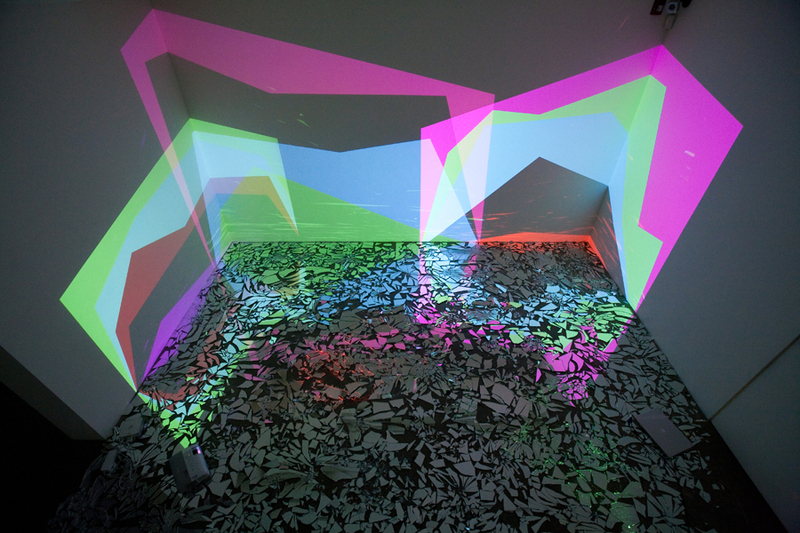 The combination pulls the viewer deeper and deeper into a slow audio-visual illusion. 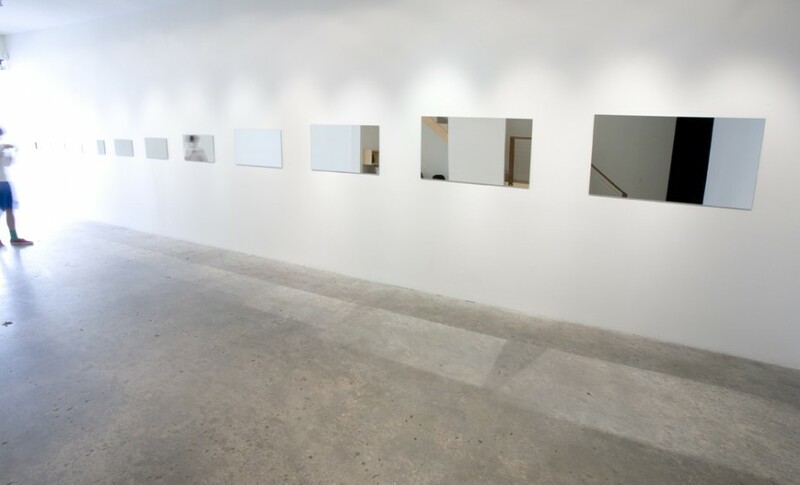 Born in Amsterdam in 1980, Rafaël Rozendaal has had solo exhibitions at Spencer Brownstone, New York (2010), TSCA Gallery, Tokyo (2010), Netherlands Media Art Institute, Amsterdam (2010) and Stedelijk Museum, Amsterdam (2006). 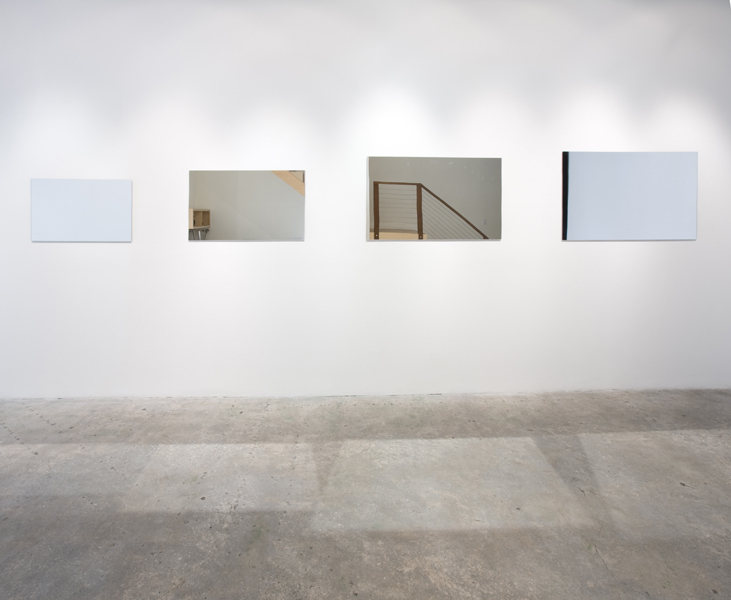 His works were presented on the world’s largest LED screen in Seoul Square (2012, curated by Lauren Cornell) and have been included in the Internet Pavillion at the Venice Biennial (2009) and the Valencia Biennial (2005). He also participated in Maps for the 21st Century at the DLD Conference in Munich (2012, curated by Johannes Fricke & Hans Ulrich Obrist). He lives and works everywhere. 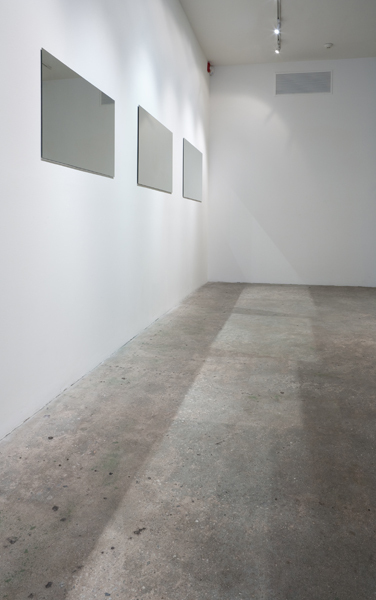 Born in Amsterdam in 1980, Rafaël Rozendaal has had solo exhibitions at Steve Turner, Los Angeles (2012); Spencer Brownstone, New York (2010), TSCA Gallery, Tokyo (2010), Netherlands Media Art Institute, Amsterdam (2010) and Stedelijk Museum, Amsterdam (2006). 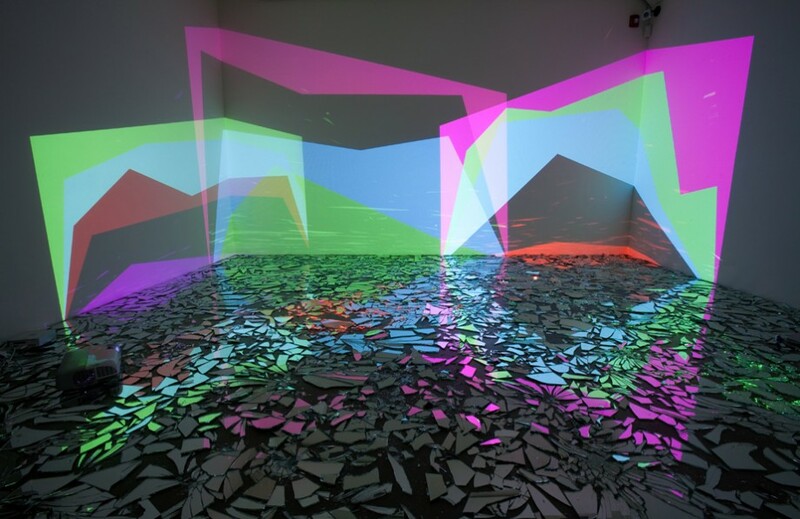 His works were presented on the world’s largest LED screen in Seoul Square (2012, curated by Lauren Cornell) and have been included in the Internet Pavillion at the Venice Biennial (2009) and the Valencia Biennial (2005). He also participated in Maps for the 21st Century at the DLD Conference in Munich (2012, curated by Johannes Fricke & Hans Ulrich Obrist). He lives and works everywhere.